Moticont’s new HVCM-051-025-019-01 is a hollow core voice coil or moving coil linear motor. The motor features high acceleration, precise positioning to less than one micron, high reliability, and low production cost. It is cleanroom friendly and is available off-the-shelf. The motor has an open apertures of 0.750 inches, or 19.05 mm. 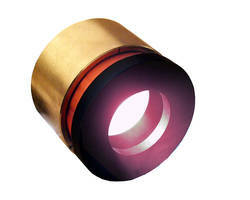 With a hollow core, optics, illumination, laser beams, or cables are able to pass through. The motor features a 0.50 inches, or 12.7 mm stroke length, a continuous force rating of 4.8 lbs and a peak force of 15.15 lbs. It has a 10% duty cycle and measures just 2.000 in. (50.8 mm) dia. X 1.00 in. (25.4 mm) housing length. Two 10-32 UNF-2B x 0.25 in. (6.4 mm) deep threaded mounting holes on 1.000 in. 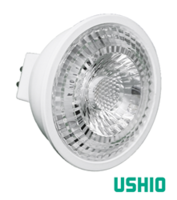 (25.4 mm) centers in the housing and coil allows for easy adaptability into new and existing applications. 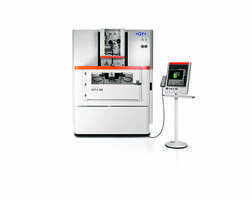 The HVCM-051-025-019-01 is ideal for applications such as positioning, medical diagnostics and testing, laser beam steering, dynamic vibration absorption, optical focusing, laser cutting and welding, scanning, assembly, and wafer handling. Low Inertia, High Precision, Hollow Core Voice Coil Motor from Moticont! Van Nuys, CA – A low inertia hollow core voice coil or moving coil linear motor from Moticont, the HVCM-051-025-019-01, features high acceleration, precise positioning to less than one micron (0.00004 in. 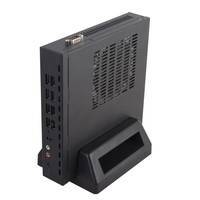 ), high reliability, and low cost. This cleanroom friendly, non-commutated motor is available off-the-shelf. The HVCM-051-025-019-01 hollow core voice coil linear motor has an open apertures of 0.750 in. (19.05 mm). The hollow core allows for optics, illumination, laser beams, or cables to pass through. With a 0.50 in. (12.7 mm) stroke length, a continuous force rating of 4.8 lbs (21.3 N) and a peak force of 15.15 lbs (67.4 N) at a 10% duty cycle, this compact voice coil motor measuring just 2.000 in. (50.8 mm) dia. X 1.00 in. (25.4 mm) housing length, is ideal for applications such as: Positioning, medical diagnostics and testing, laser beam steering, dynamic vibration absorption, optical focusing, laser cutting & welding, scanning, assembly, and wafer handling. Two 10-32 UNF-2B x 0.25 in. (6.4 mm) deep threaded mounting holes on 1.000 in. (25.4 mm) centers in the housing and coil makes for flexible and easy integration into new and existing applications. Low inertia, high acceleration, high speed, and zero cogging are benefits of this moving coil or voice coil linear motor. 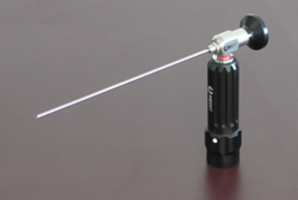 When used in closed loop applications with an optional position sensor, resolutions of less then 1 micron are achievable for millions of cycles. If a longer stroke, higher force, a smaller foot print, or customized mounting is required consult Moticont's team of engineers. All of Moticont's voice coil motors are available as complete plug-and-play systems, including, position sensor, controller, amplifier, power supply, and if required with a linear slide. 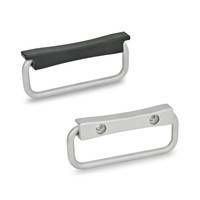 About Moticont - Moticont is a manufacturer of motion control products. Our product line includes voice coil motors, three phase brushless motors and positioning stages and slides. Moticont is committed to exceeding Our customers' quality expectations and industry standards throughout the design, manufacturing, service and technical support phases. Our modern manufacturing facility, highly controlled processes, committed staff, and extensive testing complement our product design strengths. This enables us to supply our clients with specialized small orders to high volume just-in-time deliveries.